Switching Power Supply is the main circuit by the input electromagnetic interference filter (EMI), rectifier filter circuit, power conversion circuit, PWM controller circuit, the output rectifier filter circuit. Auxiliary circuit has input over-voltage protection circuit, the output over-voltage protection circuit, the output over-current protection circuit, the output short circuit protection circuit. All products in our factory has one year warranty. And we promise to replace our client's new products when they get any defective from our company. Looking for ideal 75w Led Power Manufacturer & supplier ? We have a wide selection at great prices to help you get creative. 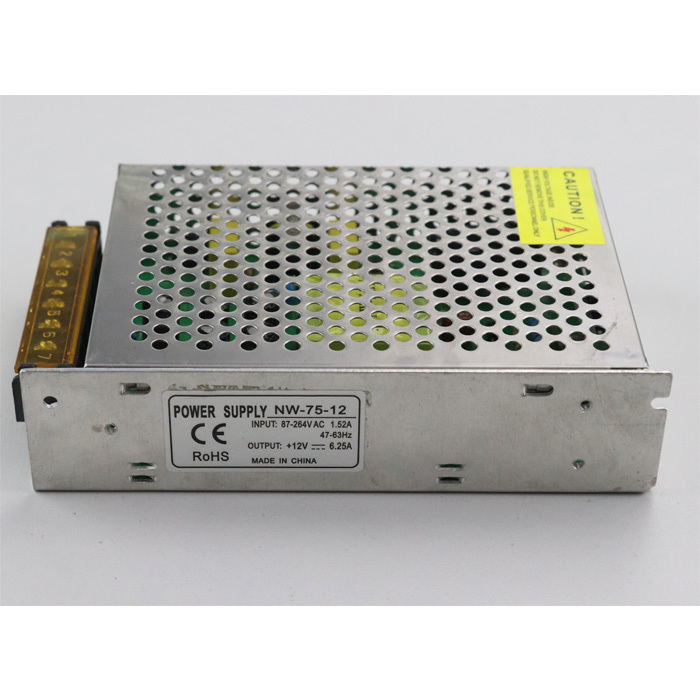 All the 12v 75w Power Supply are quality guaranteed. We are China Origin Factory of Switching Model Power Supply. If you have any question, please feel free to contact us.